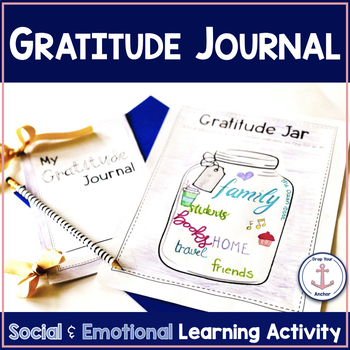 This gratitude journal and activity are perfect for Thanksgiving or year round as a way to promote gratitude in the classroom, build a stronger classroom community and social emotional skills. This 10 page journal and 2 page activity are easy to print and use! They make for amazing keepsakes and bulletin board displays! 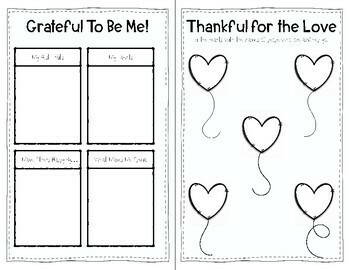 A 10 page gratitude journal where students follow easy prompts that allow them to reflect on all that they have and are thankful for. It also includes a place to brainstorm how to show our gratitude and thank you note templates to let others know how thankful we are! 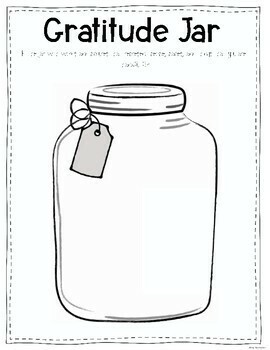 Gratitude Jar activity and writing prompt. Students fill a gratitude jar with words and pictures that represent all they are thankful for. A second paper asks students to reflect more on one of the items in their jar. Makes a meaningful and beautiful bulletin board display! So easy to use. Just print and go!